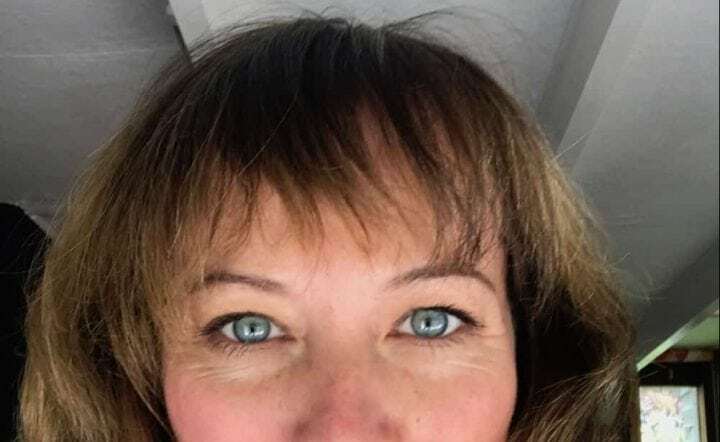 Gawd bless the brilliant Hairbox, the tiny hair salon that’s, er, literally a boxroom on Marlow High Street, and happens to be home to the supercool, talented Carol Baxter. 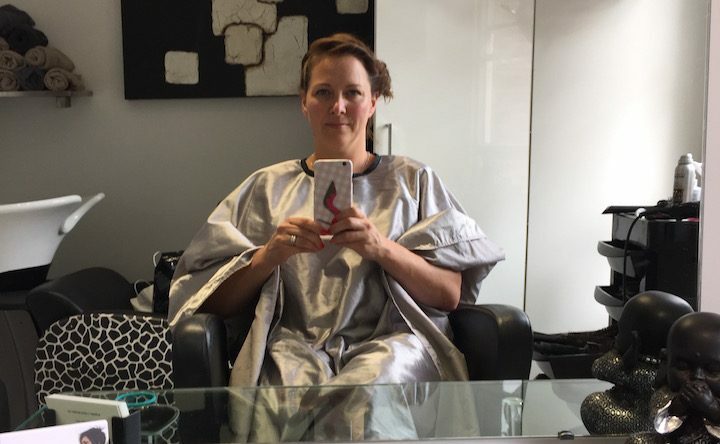 Size is important in Hairbox (isn’t it everywhere? 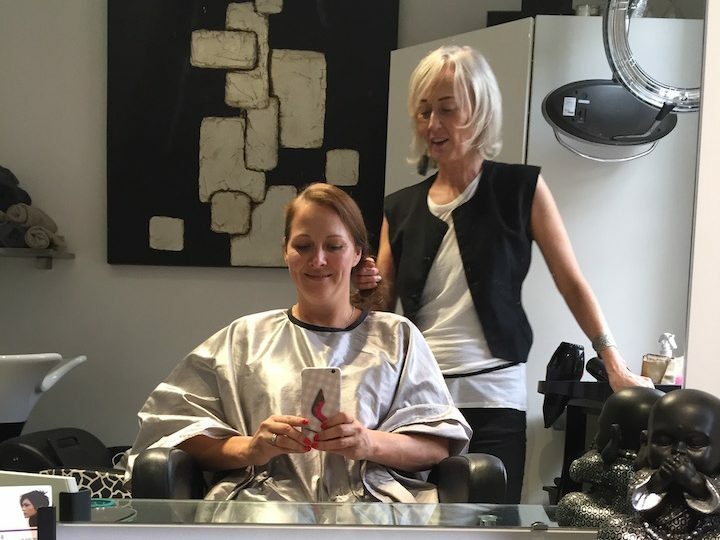 ), where Carol gives clients the one-to-one private VIP treatment, washing the hair, bringing coffee, proferring small Tiffany jewellery gifts (no not really but it would be a nice touch Carol) and doing the cut and colour all herself. You can reacquaint yourself with my review here. 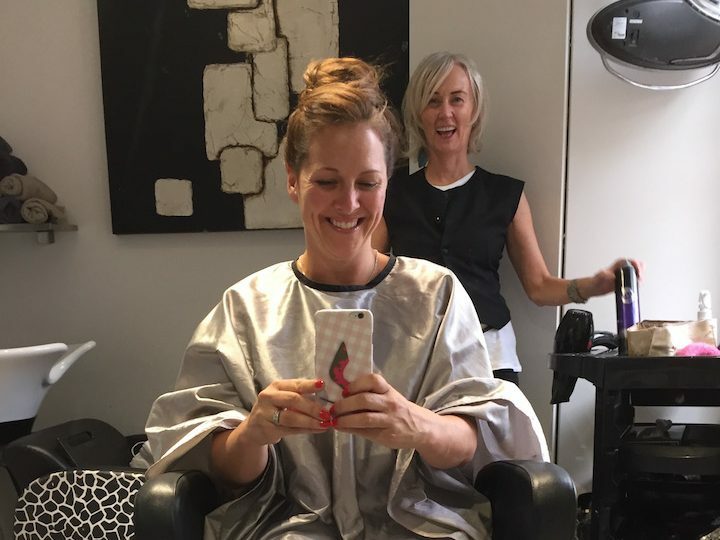 What you may not know is that Carol is also the hell ‘updoer’ and in fact has a large clientelle of women wanting to nail the Audrey, the quiff, the bird’s nest (my description, not hers!) and a whole load of other options for weddings, parties, balls or those all-important ambassadors drinks parties we’re habitually invited to. 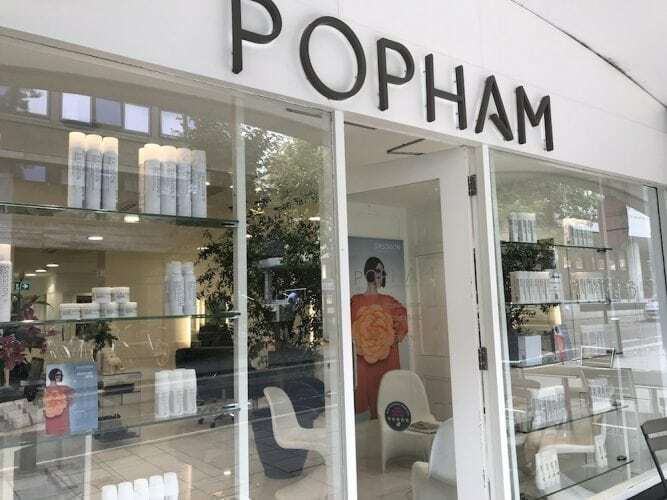 I am very much a blow dry, spray, back comb and hope-for-the-best-kind of gal, with my safety net usually coming in the form of an elastic hair bobble when I can’t bear the mess or the heat on my neck any more. What a pathetic follicular life I’ve been leading. 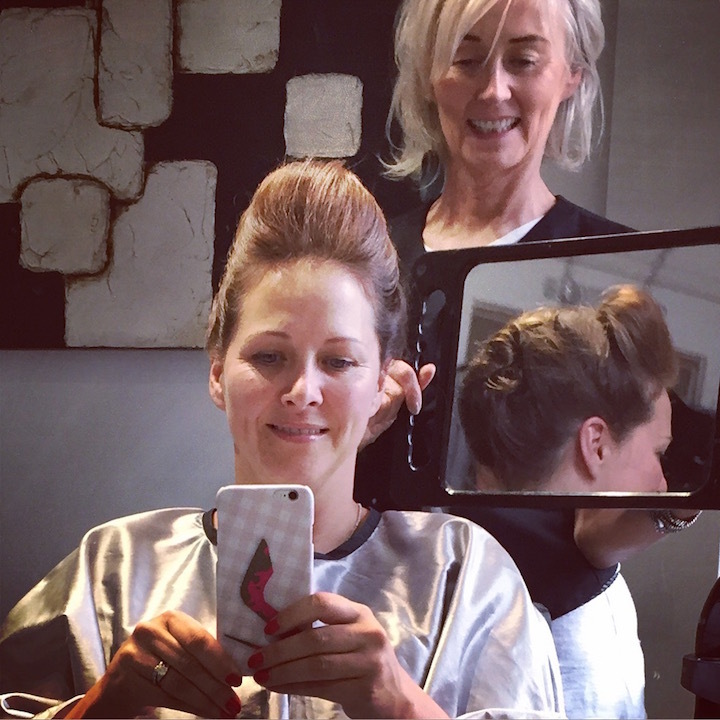 It’s much more fun to have a pro give you a giant quiff! 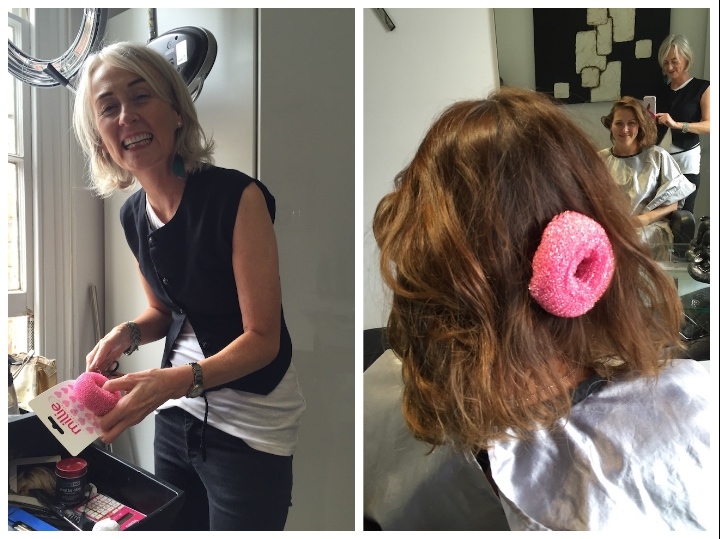 We had a go with a pink doughnut on the side, planted with great gusto by Carol, who could clearly barely contain her glee at this part of her job. The result was a side do, comme ci. I’m happy on the inside, I promise. We also tried a fake long plait, but I felt a bit like a schoolgirl in a wrinkle machine so that was enough of that one. 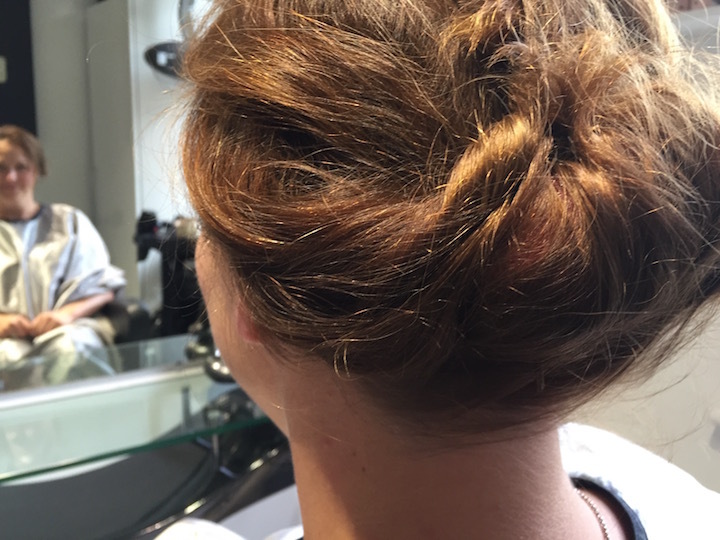 But thats the glory of booking Carol really, you can try loads of looks and it’s a very creative, fun, collaborative environment rather than simply booking for a yawn-by-numbers updo. 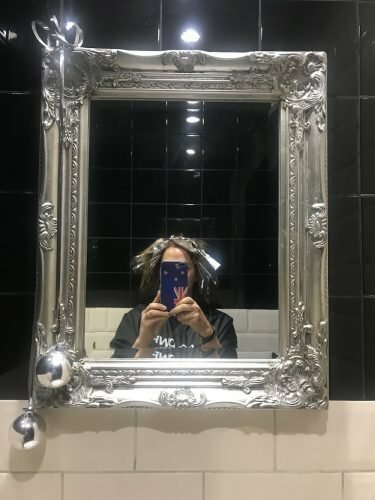 Carol gets very booked up for her updo and wiggery service (she has quite the collection let me tell you), so definitely call in advance, and if you do make it in and do something wonderful with your hair, let me know – hell, even better, send me a pic!